Dr Clint Rusk, head of the OSU Animal Science Department, congratulates the Kay County Senior 4H Division State Champions on their win. The team is made up of Caleb Edens, Tyler Steichen, Katy Frazier and Hattie Steichen. 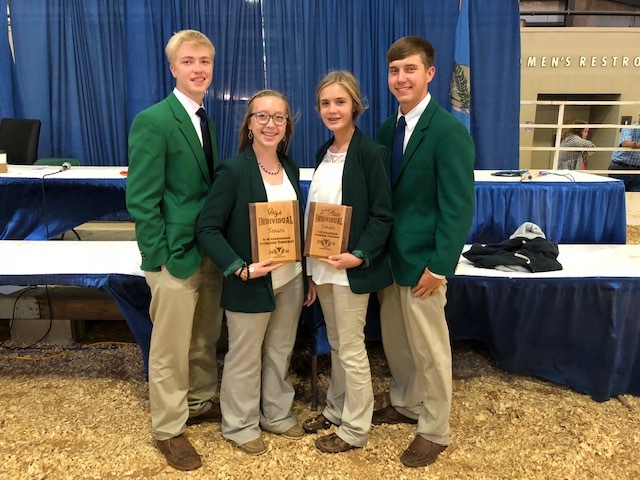 Hattie Steichen (second from left) was the high point individual at the Tulsa State Fair. This is the second consecutive year for Hattie to be recognized as the state champion individual in the senior 4H division. Caleb Edens (left) was recognized as the second high individual in the Senior 4H Division . Tyler Steichen (right) was recognized as ninth high individual in the senior 4H division. Katy Frazier is the fourth member of the Champion team. 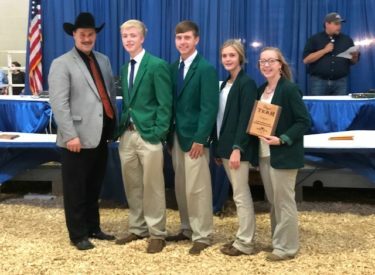 Dr. Clint Rusk, Director of the Animal Science Division, congratulates the Kay County 4H junior division state champion team. 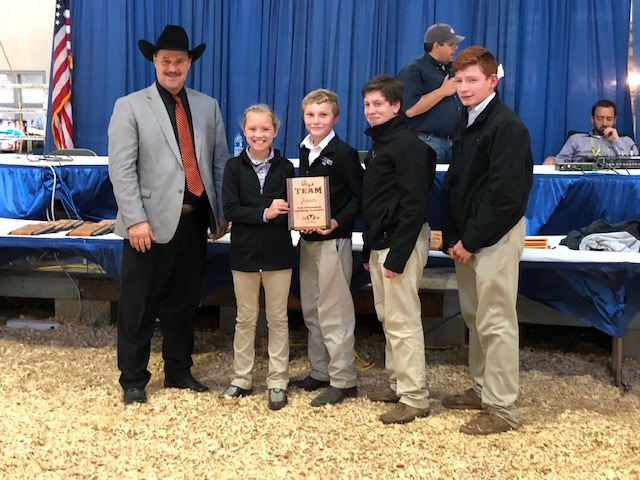 Jordyn Smith was also the 9th place junior individual, Justin Fast, Reid Buellesfeld sixth place individual and Tucker Jeffries was second place individual. 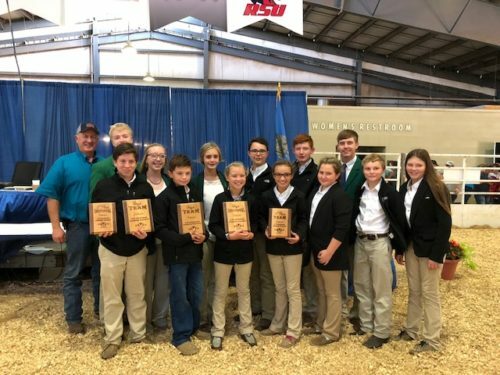 The Kay County 4H Livestock Judging teams, shown with coach Rick Buellesfeld, won at the Tulsa State Fair.